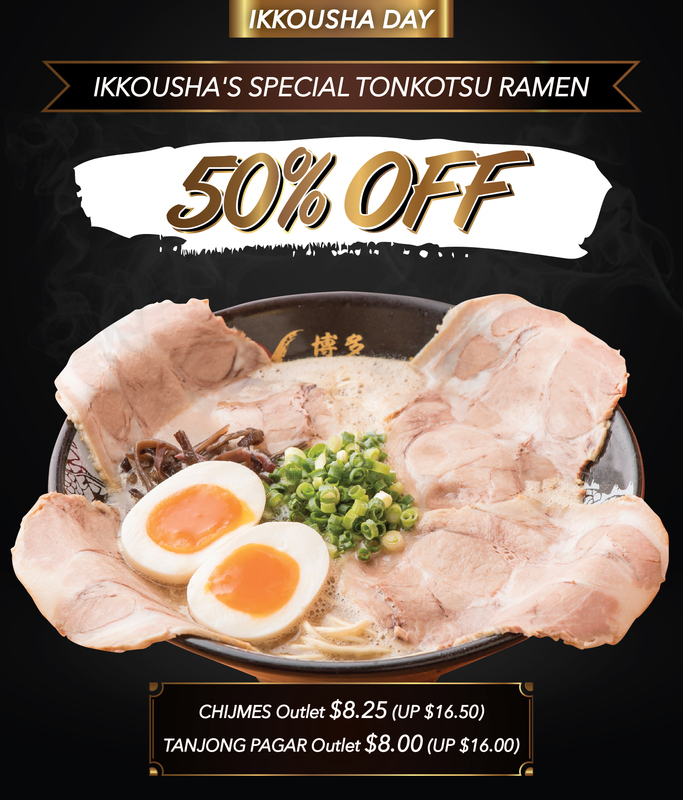 Ikkousha's Special Tonkotsu Ramen at 50% Off! 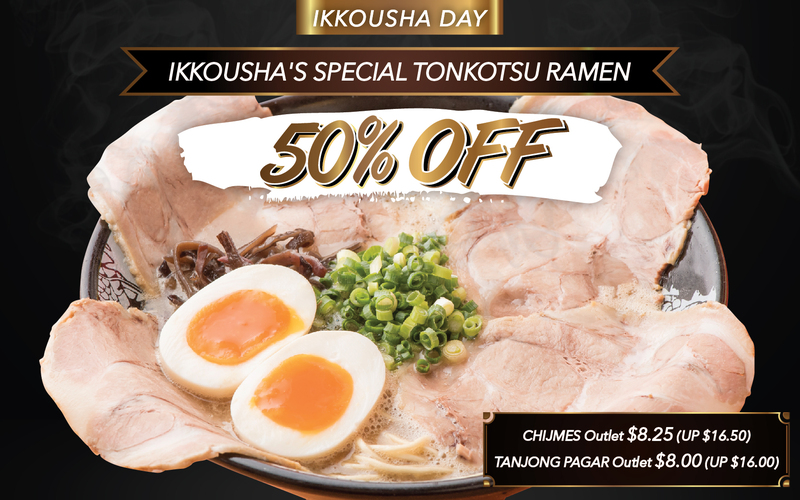 Celebrate Ikkousha day with your loved ones and enjoy our delicious Special Tonkotsu Ramen at 50% OFF! Only on 30th July. Available only at CHIJMES outlet & Tanjong Pagar outlet! Started in 2004 at Hakata, Fukuoka, Ikkousha's mission is to spread authentic Hakata ramen around the world! 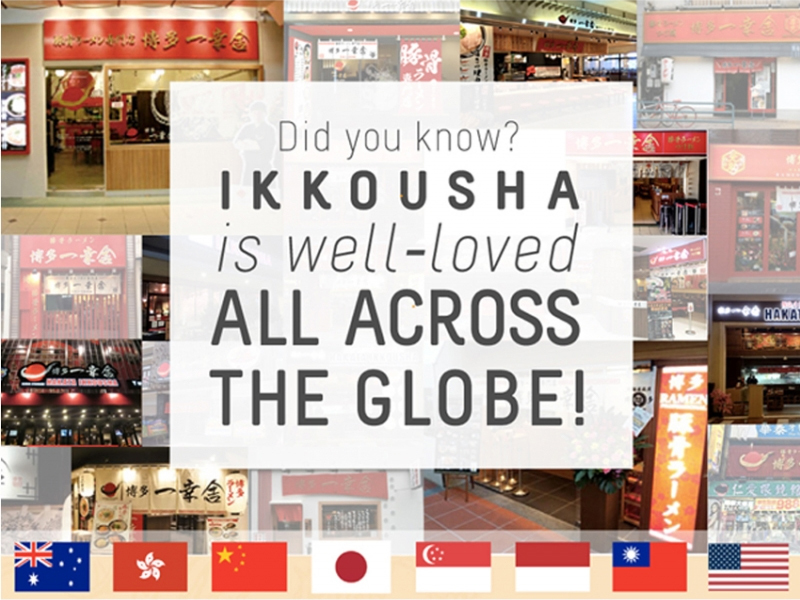 In fact, Ikkousha has 42 outlets across the world! Have you tried our new and improved broth? It is much more richer and tastier now! You can now enjoy Special Tonkotsu Ramen at 50% Off Only on 30th July, do not miss it! * Valid at CHIJMES and Tanjong Pagar outlet. * Only on 30th July2018. * Limited to one promotion per diner. Please show staff coupon individually before you order. * Not valid with any other promotions and coupons. 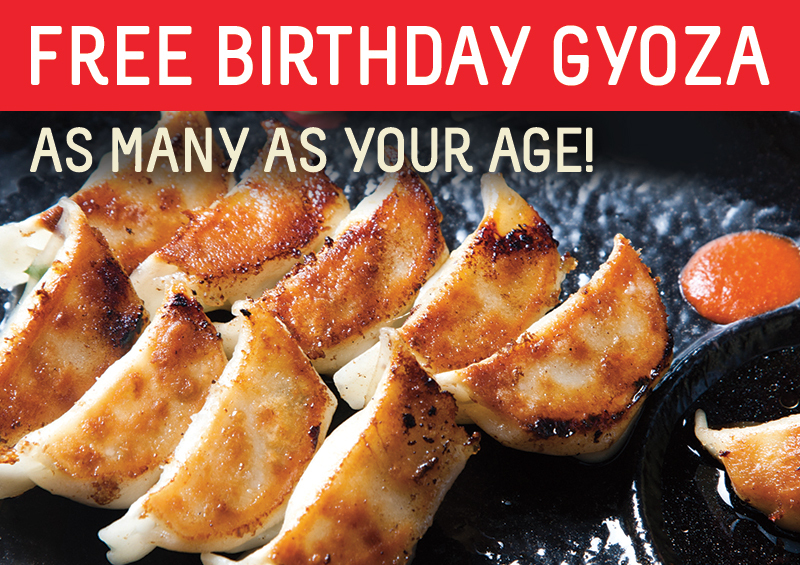 If you are turning 30 years old, that would be 30 pieces of FREE Gyoza! *Valid only 1 day before and after the birthday date. *Show ID with the birthday date. 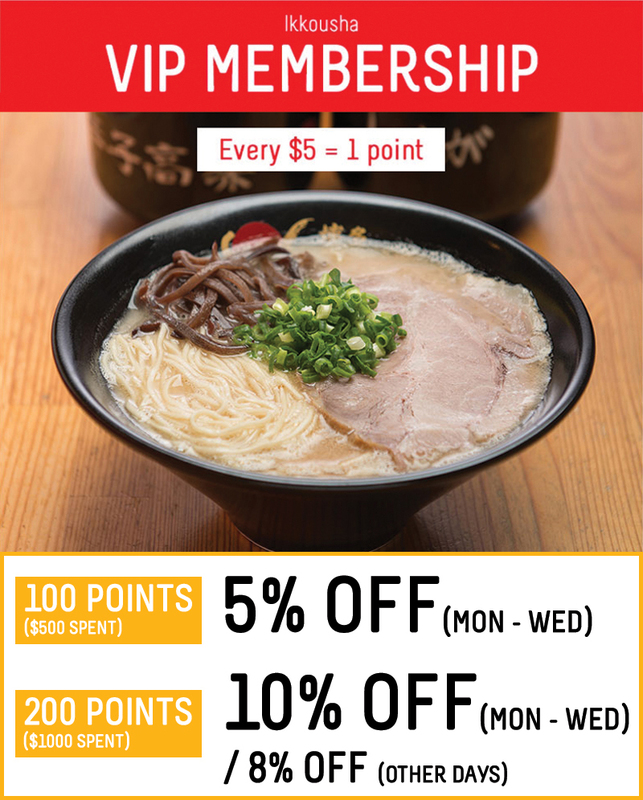 *Valid for 4 pax or more and each person must order at least a bowl of Ramen. *Not valid with any other promotions and coupons. *Available at both CHIJMES & Tanjong Pagar outlet. Collect J Points with your Mobile Number! It's Ikkousha day soon! Get your hand on 50% OFF Special Tonkotsu Ramen! Ikkousha Hakata Ramen - Buy 3 Get 1 Free! !